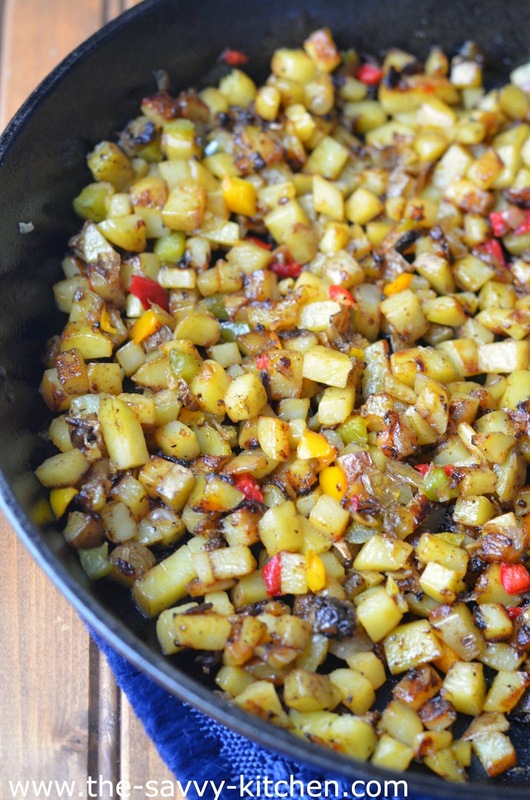 Chris loves exploring new additions for the classic potato hash he likes to make on the weekends, and I think he outdid himself this time. We usually put cheese on top of hash, but we opted to keep it off this time to save ourselves some calories. Peppers and onions alone added enough flavor to the crispy potatoes that cheese wasn't needed anyways. 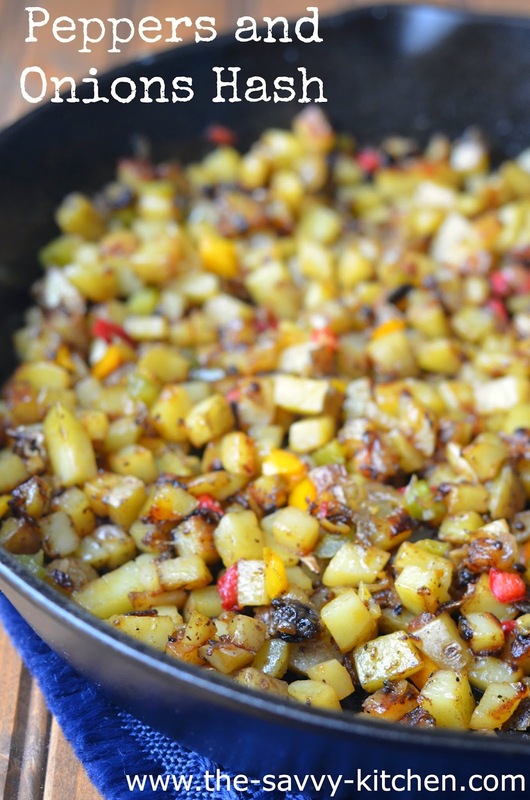 Hash is a super simple breakfast that tastes like something you would eat at a restaurant, but can be made in the comfort of your own home. Enjoy! Add oil and butter to a heavy cast iron skillet. Add potatoes and onions. Cook for 8-10 minutes or until potatoes are fork tender and begin to brown and get crispy. Once potatoes are brown, add bell peppers and stir to combine. Cook for 3-4 minutes or until heated through. Season with seasoned salt and pepper. If using cheese, sprinkle cheese over top. Transfer the skillet to the oven under the broiler. Let sit for 2-3 minutes or until completely melted. Keep an eye on the skillet since the cheese can brown quickly! This looks SO GOOD! Must have now!